Don Nance reports that his son Tommy has almost finished the paint job on the old 1951 Pontiac that his sons are restoring for him. It looks great! Won't be long now before his boys will have completed the restoration and Don will be driving it around listening to Kilgo's Korner on the radio and eating greasy french fries from the Town House or the Boar's Head. My article about Daytona Beach got Warren Sparrow thinking about another site famous for Nascar racing; Darlington! 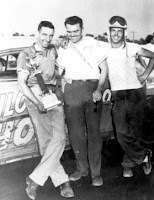 I went to the Darlington 500 on Labor Day 1954. It was the first time I saw water being "sold." Nobody paid for water, thought I. Water was a gift from heaven. Not that hot September day, I learned. What I remember of that day may be wrong. I remember it was hot. There was no shade in the infield where I spent the day. The noise was more than I had ever heard. The cars were true stock cars, cars you could buy from the dealers. They had a few decals but nothing like those on today's cars. I could not tell who was winning. What I did notice was the rookie driver in the Cadillac Coup de Ville. It looked like he was going faster than anyone. Unfortunately, he had to stop to change tires more frequently than anyone else. He did not win. 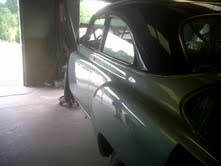 The winner was Herb Thomas in a Hudson Hornet. 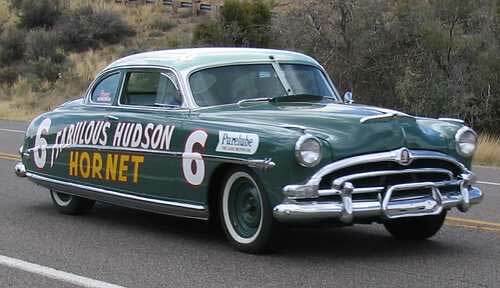 Curtis Turner was second in an Olds Rocket 88, I think. Perhaps a good time was had by all, especially the women who passed out in the infield. So, there were two things I saw for the first time on Labor Day 1954: (1)Folks buying water and (2) Women flat on their backs, unable to cope with the heat and the boredom of a 500-mile race where no one knew who was leading. 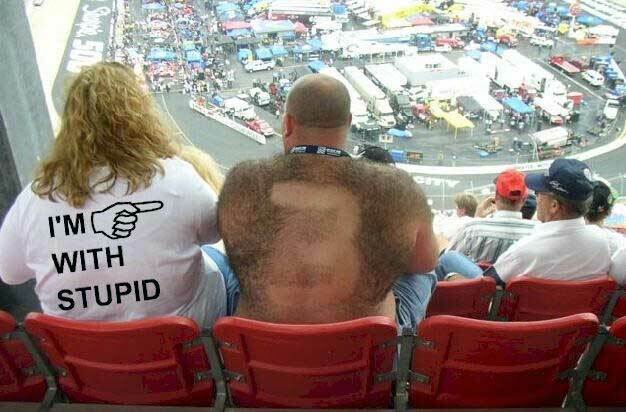 I have not returned to a super speedway race in the ensuing 57 years. Gone are the Hudson Hornets. Gone are the cars folks could buy. The cookie-cutter NASCAR-approved machines do not interest me. It is all about safety, I am told. I wonder. One thing has remained: Folks who go to these races are nuts. Today's fans are no smarter than the ones I saw passed out in the Darlington infield in September 1954. The cars are still turning left. Round and round they go, burning up great gobs of money in cars that look the same. Oh, how I long for those show-room cars adorned with simply a number on the door.... "Boogity, boogity," my (foot). 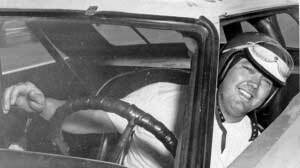 By the way, Junior Johnson was driving the Cadillac in 1954. It was his rookie season. 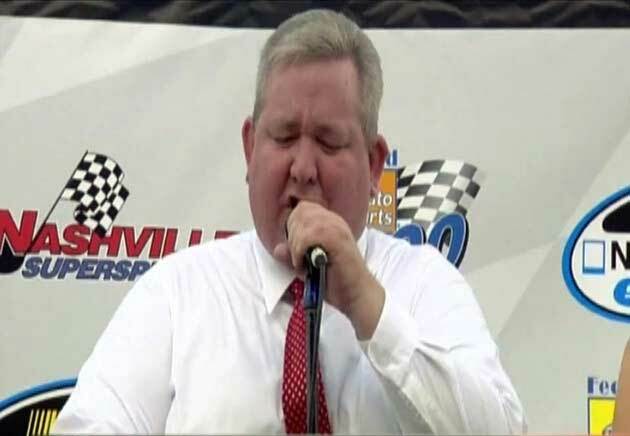 I'm sure by now you've seen the video of the pre-race prayer at the Nascar Nationwide series race in Nashville TN July 23, 2011. "Boogity, boogity, boogity boys! Let's go racing'"